Loosestrife, Rockville, Maryland, USA, 2012. 96 pp., 43 duotone illustrations, 10x8". The response to why he robbed banks, “That’s where the money is,” is often misattributed to renowned bank robber Willie “the actor” Sutton, who provides the backdrop for this series of photographs of savings institutions by John Gossage. A book of view camera photographs of banks from 1975, presented these many years after they were shot. [Now is] a prefect moment to review the conceits of vernacular bank architecture and the concept of thievery. A book dedicated to the artist’s father. 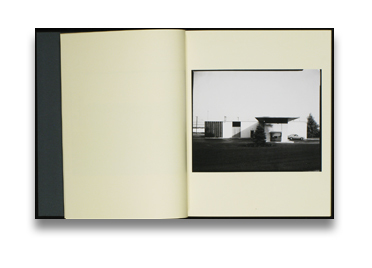 This book is made from the original 4x5 inch black-and-white contact prints, and has been printed on yellow pages. 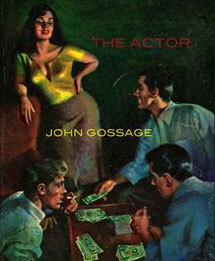 Read Adam Bell's review of The Actor on photo-eye Blog.